Finally...Just the "HOME" you are searching for! 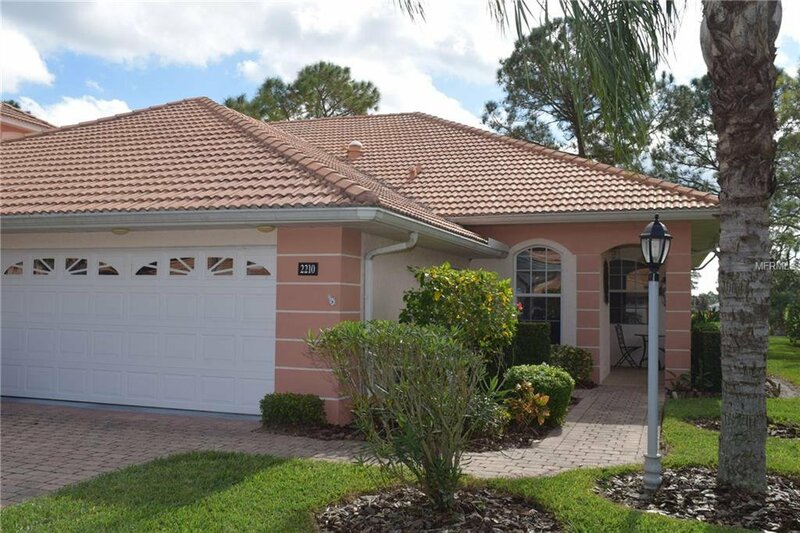 Meticulously maintained and on a Premium lot with a Fantastic view of the Golf course. Lovely soft Coastal colors adorn the walls and are enhanced by the Warm tones of the wood-look Pergo and ceramic tile floors and the 2 guest bedrooms are a soft pastel carpet. The Enclosed Lanai is the Perfect place to relax after a nice round of Golf or Tennis or after lounging in one of the 2 pools. Don't feel like cooking...pop over to the club house dining room for a bite to eat! The Extra Large kitchen is a welcome area for cooking and entertaining with it's Gorgeous Granite counters and Stunning Stainless Steel Appliance including a chef's delight double oven range and French Door refrigerator with extra drawer. Maintenance-free and a short walk to the private community pool. A Highly Desirable End Unit with lots of Natural Light and a 2 car garage. A Gated Golf Community conveniently located. Don't forget to save some time to play on the first class and newly renovated Charlotte Harbor National Golf Course at Bobcat Trail. Over 2 million in renovations. YOU DON'T WANT TO PASS THIS ONE BY! Turnkey furnished with a few exceptions are available for purchase under separate contract. Inventory list attached. Listing courtesy of BRIGHT REALTY. Selling Office: RE/MAX PALM REALTY OF VENICE.